Homes are getting smarter by the day. And when it comes to home security, having a smart burglar alarm system that works via a secure server and network that’s accessible via your PC or smartphone is the future of protection, available here and now. 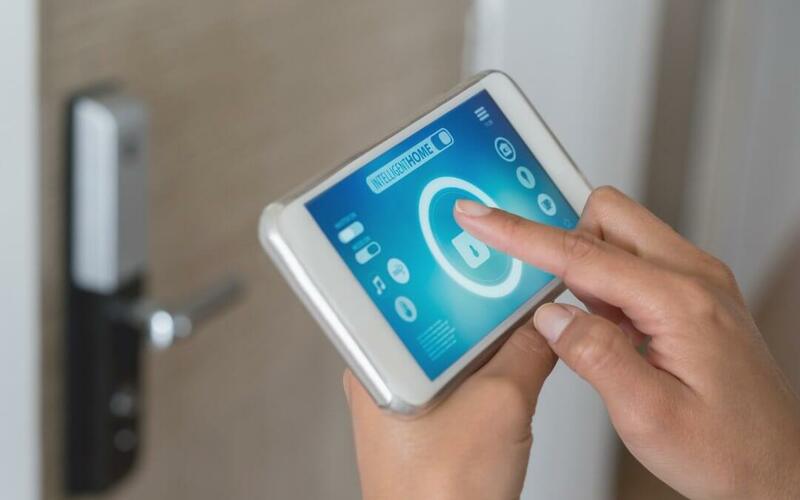 With the burglar alarm system synced with your smartphone, it knows when you’re in or not, so with the tap of an app from work, or on holiday, you can arm and disarm the system so it’s protected. ● Once your smart system is set up, you’re able to arm and disarm the alarm remotely when you’re at work or on holiday. A simple way ensure your home is protected. ● If there’s multiple users of the system; a large family home, student or rented accommodation, having a historical log to be able to see when the system has been disarmed is important. ● Do you have an existing CCTV Camera System, or would like to set one up at the same time?View the recording on your smartphone, get notified if there’s motion detected or levels of CO2 increased.